Every girl needs her chance to indulge, right? Unfortunately, most of us don’t want to suffer the expanded waistlines that come as a result of such free-feeding. 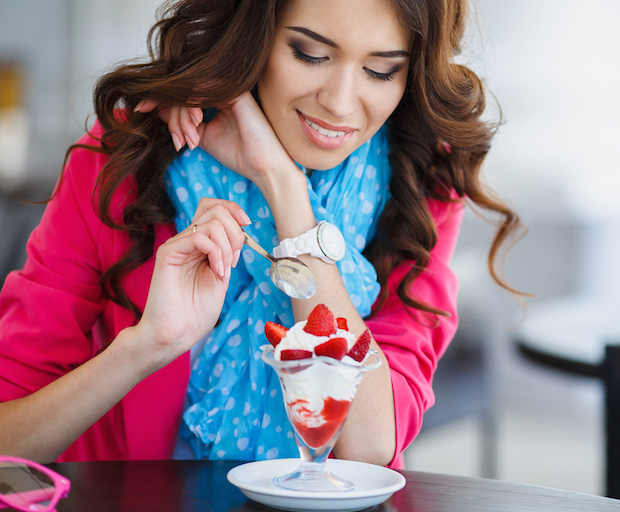 Cater to your sweet tooth (without the extra calories) with these healthy dessert alternatives. This panna cotta is based on yogurt (as opposed to cream) and is packed full of delicious berries. Summer berries – such as blueberries, raspberries and strawberries – are full of antioxidants and polyphenols, which help fight cancer and heart disease! 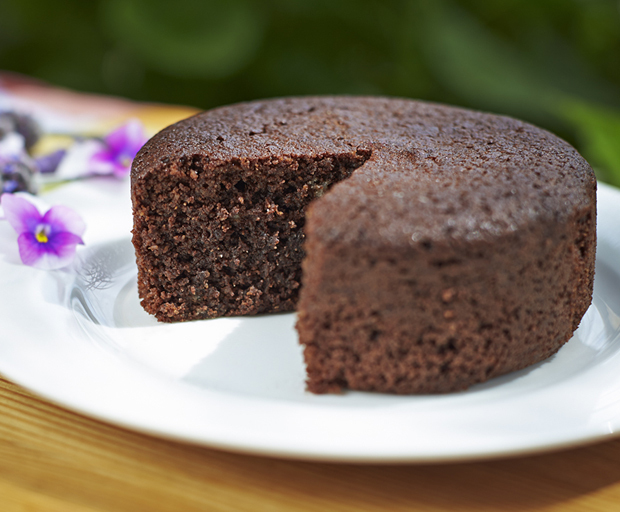 Unlike many flour-based cakes, this quinoa cake is low GI – meaning, it releases energy slowly throughout the day, keeping you full for longer. It has all the benefits of quinoa, including high protein and riboflavin, which can help migraine sufferers! This one is also a winner for the gluten intolerant! Pre-packaged muesli or granola bars from the supermarket are often full of sugar, preservatives and hidden sweeteners and additives that aren’t so great for you or your kids. 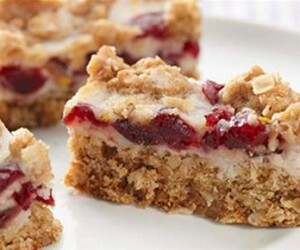 These homemade oatmeal bars make a great snack and can help you monitor your child’s sugar intake. 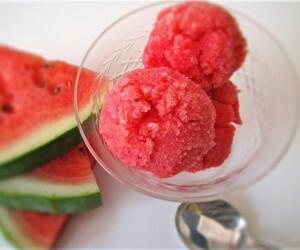 Sorbet is a great alternative to ice cream or gelato, as it is fruit-based and doesn’t include any fatty creams. While there is still quite a bit of sugar, this fruity delight retains some of the goodness of the fresh fruit you put into it. This snack is full of energy – make it a great afternoon snack to get you through the work day – without any added sugar! They are made from cocoa which is better than artificial chocolates and is a healthy antioxidant. 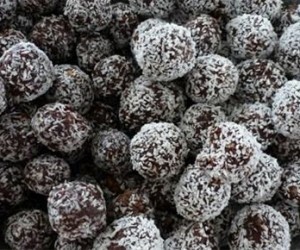 Despite the lack of sugar, these raw chocolate balls will still appease your sweet cravings with yummy dates and honey. It couldn’t be easier to make your own refreshing icy poles, and this recipe uses only two ingredients which you’ll always have on hand in summer. These natural icy treats are so much healthier than the sugar-laden store-bought variety so they’re great for kids. Try different stonefruit, like plums, apricots or peaches, or make a colourful combination. 1. 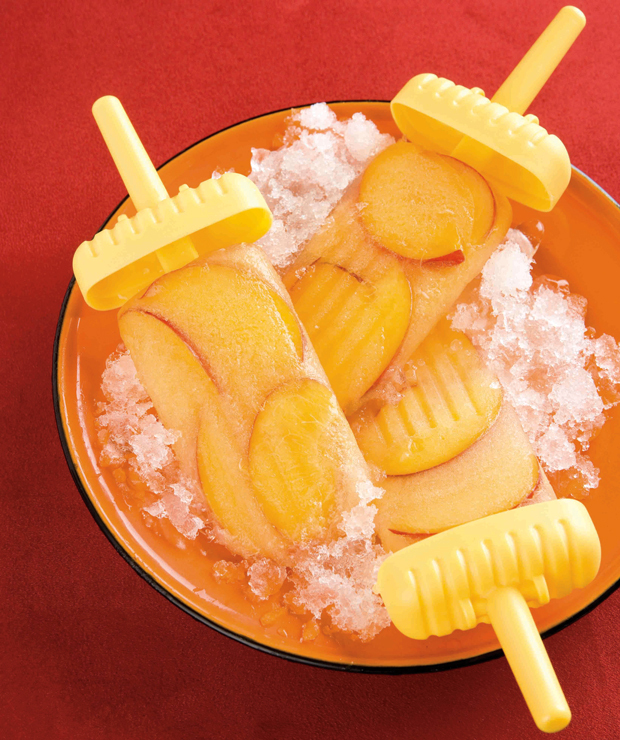 Divide the nectarine between the icy pole holes. Fill up with the orange juice and freeze overnight or until frozen. What’s your favourite summer dessert? When you want to satisfy a sweet tooth but don’t want to overindulge, it’s not always easy finding healthy dessert ideas. 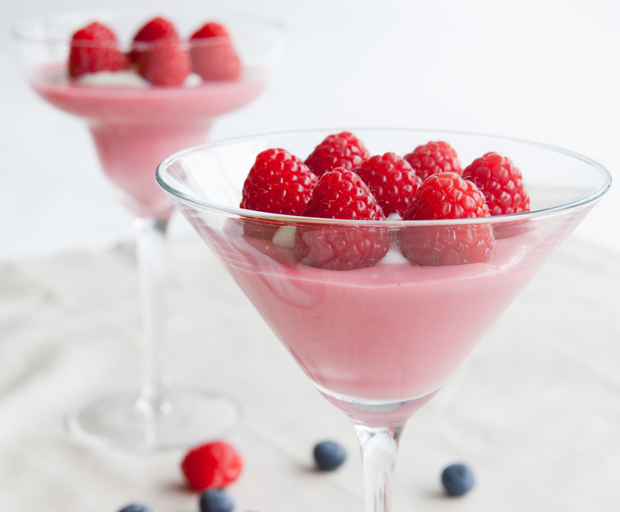 This mixed summer berry yoghurt panna cotta is creamy and decadent, without the fat or calories. And with October’s Breast Cancer Awareness Month around the corner, this pretty pink dessert would be a showstopper to serve at any pink-themed high tea or morning tea you might be hosting or attending. Even better, SKI has pledged to donate $350,000 to fund a McGrath Breast Care Nurse and has turned its 1kg pots of D’lite, Divine and Soleil pink for a limited time only. 1. In a bowl add some cold water and the leaf gelatine; the leaf gelatine should be covered with the water. 2. In a saucepan add the sugar and the milk, place on stove and heat up, stirring to dissolve the sugar. Bring the milk mixture just to the boil and take off the heat. 3. In a food processor blend the summer berries to a puree. 4. Remove the gelatine sheets from the cold water, they should be soft and pliable, add them to the hot milk mixture and stir through until dissolved. 5. Add the summer berry puree and the berry yoghurt to the hot milk mixture and stir through. 5. Pour the finished hot milk mixture into serving glasses and place in the refrigerator to set (minimum time 2 hours). 6. To serve: using a tablespoon scoop a spoon full of vanilla yoghurt on top of the panna cotta. Arrange fresh raspberries on top of the vanilla yoghurt and serve. What are your favourite pink recipe ideas? 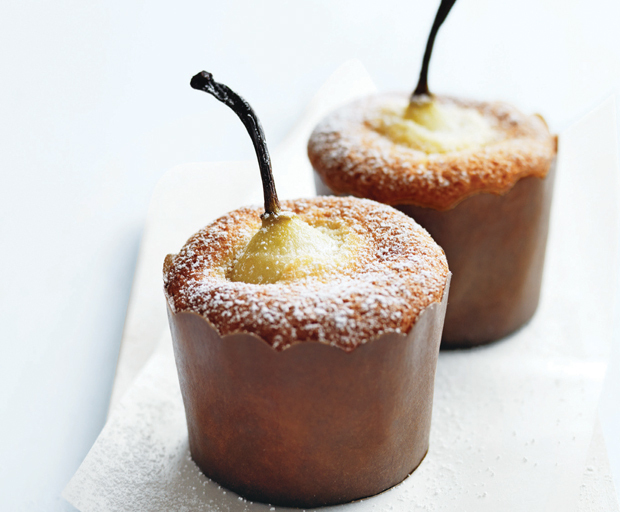 How sweet are these lovely pear and vanilla cakes? They make a wonderful alternative to your morning muffin, or serve as an elegant afternoon tea treat. The aroma of baking pears and warm vanilla is heavenly! 1. Place the water, sugar and vanilla in a saucepan over low heat and stir until the sugar is dissolved. 2. Add the pears, cover with a round of non-stick baking paper and a lid, and cook for 25–30 minutes or until tender. 3. Drain on absorbent paper, set aside and allow to cool. 4. Preheat oven to 160°C. Place the butter and sugar in the bowl of an electric mixer and beat for 8–10 minutes or until pale and creamy. 5. Gradually add the eggs and vanilla, beating well after each addition. 6. Fold in the flour and milk. 7. Line 12x 1 cup (250ml) capacity muffin tins with paper cases and spoon ¼ cup (60ml) of the mixture into each case. 8. Carefully push in the pears and bake for 30–35 minutes or until cooked when tested with a skewer. What’s your favourite morning tea treat? MasterChef Adam Liaw makes a simple frozen yoghurt flavoured with luscious custard apple and honey – perfect for breaffast with granola or as a dessert the whole family will love. 1. Line a fine sieve with muslin or a clean tea towel and place it over a large bowl. Pour the yoghurt into the muslin and leave in the fridge to strain for at least 2.5 hours but preferably overnight. 2. Put the strained yoghurt into another large bowl and mix through the custard apple pulp and honey until well combined. 3. Freeze in an ice cream maker for 1 hour and then transfer to the freezer to set for a further 2 hours. 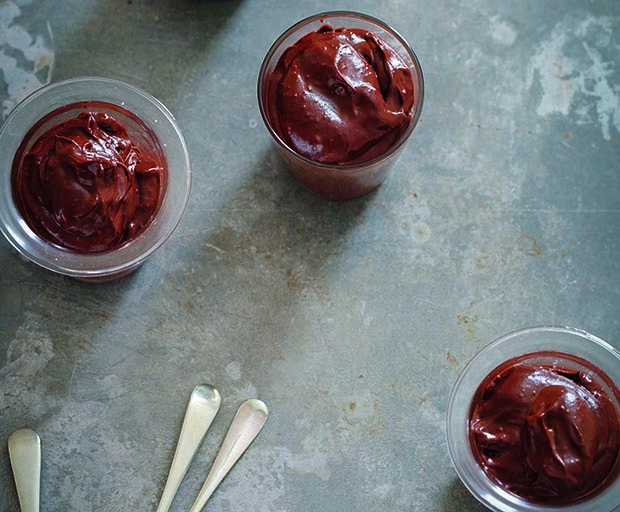 If you don’t have an ice cream maker, you can just freeze this mixture in a large bowl in the freezer, whipping vigorously with a whisk at 45 minute intervals until it is set (about 3-4 hours). Do you prefer ice cream or frozen yoghurt? Looking for some healthy breakfast inspiration? 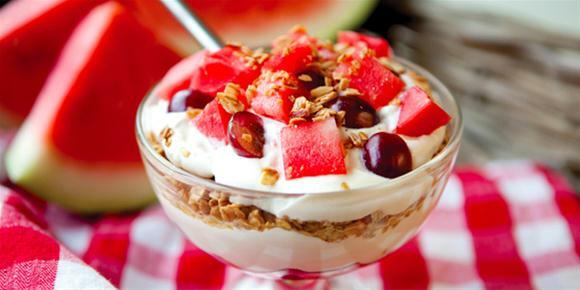 This grape and yoghurt parfait looks luxurious but is quick to whip up and is packed with calcium, vitamins and fibre! 1. Using 6 x 250ml capacity glasses, place a generous amount of yoghurt in the bottom of the glass followed by ¾ of the muesli, all the green grapes, another dollop of yoghurt, red grapes, remaining yoghurt and the remaining muesli. 2. Garnish with a few mint leaves and 2 whole grapes. 3. Drizzle with the honey and serve immediately. Tip: You can have these ready in advance in clear plastic cups wrapped tightly with plastic wrap to take to picnics. Pack honey separately to serve. 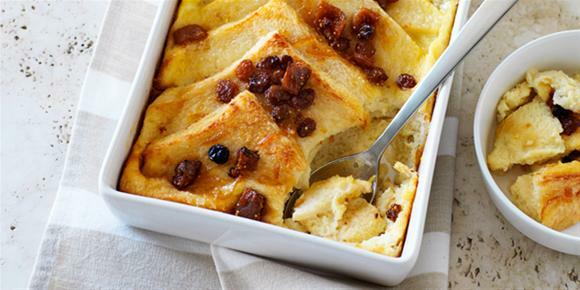 Nutritionist and dietician Susie Burrell shares a delicious, easy recipe for gluten-free bread and butter pudding – whether you’re cooking for coeliac friends or not, you’ll love this dessert! 1. Cut Pure Bread in triangles and spread with marmalade. Layer in an oven-proof dish. 2. Add Craisins and lemon rind. Beat eggs and milk together with vanilla and pour over bread. Bake at 180ºC for about 30 minutes. Serve with 1 dollop of cream. 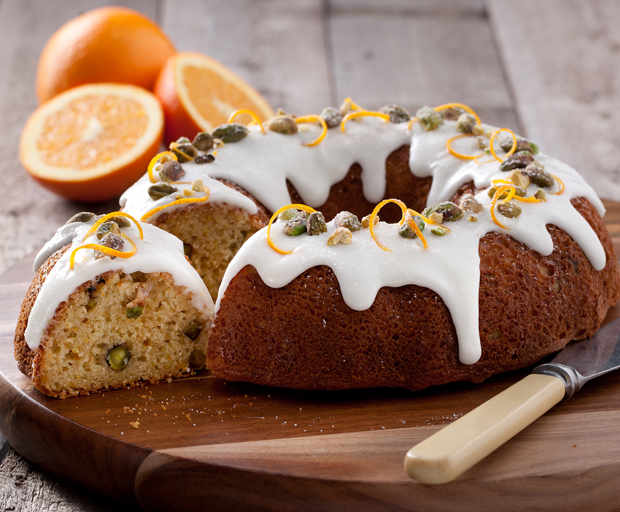 Which recipe would you like to see get a gluten-free makeover? Messed up your meringues? Don’t throw them away – make Eton Mess! Or try this version using amaretti biscuits, the almond flavour goes really well with juicy summer white peaches and vanilla-scented cream. chopped peaches. Transfer to a small bowl and place in the fridge to cool. with remaining peach slices and almond flakes to serve. 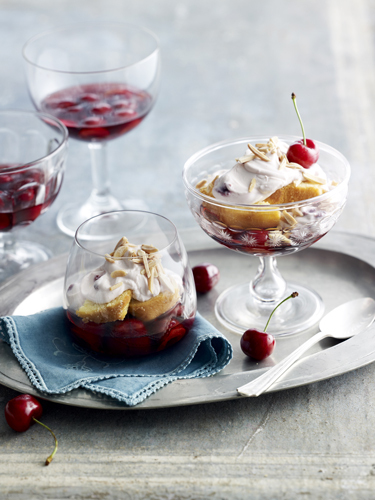 Cherries scream summer, so does trifle! Combine them and you have a delicious dessert – serve them in mismatched vintage glasses for a really elegant look for holiday entertaining. 1. Bring sour cherry juice to a simmer in a small saucepan over medium heat. 2. Soak gelatine leaves in cold water for 5 minutes until soft. Squeeze out any excess water and add to sour cherry juice, stirring until gelatine has dissolved. 3. Evenly divide mixture into large individual glasses (about 500ml in capacity) and distribute cherries amongst the glasses too. Place in fridge for 3 hours or until set. 4. Stir kirsch, jam and icing sugar into mascarpone and yoghurt until combined. 5. Cut butter cake slices into 3 fingers and place on top of jelly. 6. 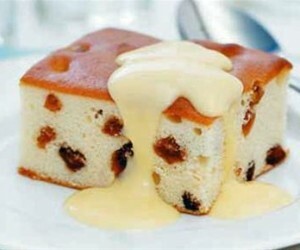 Spoon over mascarpone mixture, sprinkle with almonds and garnish with cherries. What’s your favourite cherry recipe? This Middle Eastern-inspired dessert will transport you on an exotic culinary adventure using only a few ingredients. 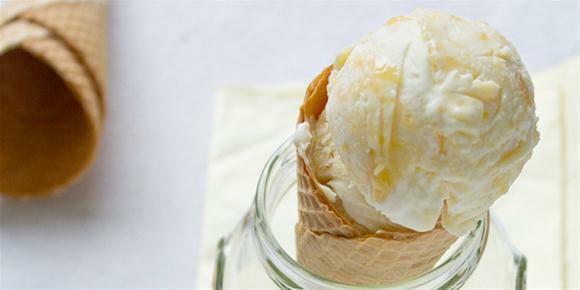 The leftover syrup is delicious drizzled over yoghurt or ice cream. 1. Place honey, Queen Rosewater Essence and 1 tbs water into a deep saucepan. Stir over a medium heat until combined and mixture comes to a simmer. 2. Using a small sharp knife, cut a cross on the top of each fig through the stem open slightly. Add figs to honey, standing up. Cook for 1 minute spooning honey mixture constantly over fruit whilst cooking. Transfer figs to a plate. Pour liquid into a jug. Put yoghurt into a bowl. Add extra honey and ripple through yoghurt. Transfer figs to serving plates. 3. 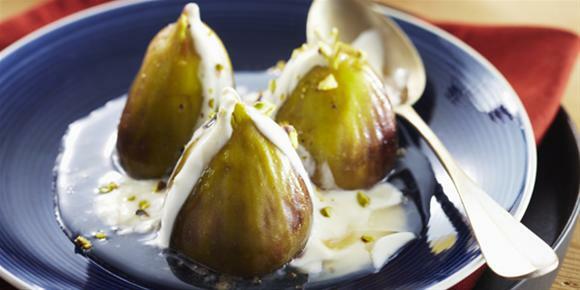 Pour syrup over figs and spoon yoghurt on the side. Sprinkle with pistachios and serve. Baklava? Poached fruit? What is your favourite Middle Eastern dessert?